This Mosrite Ventures “Vibramute” Model from 1965 was built in California. 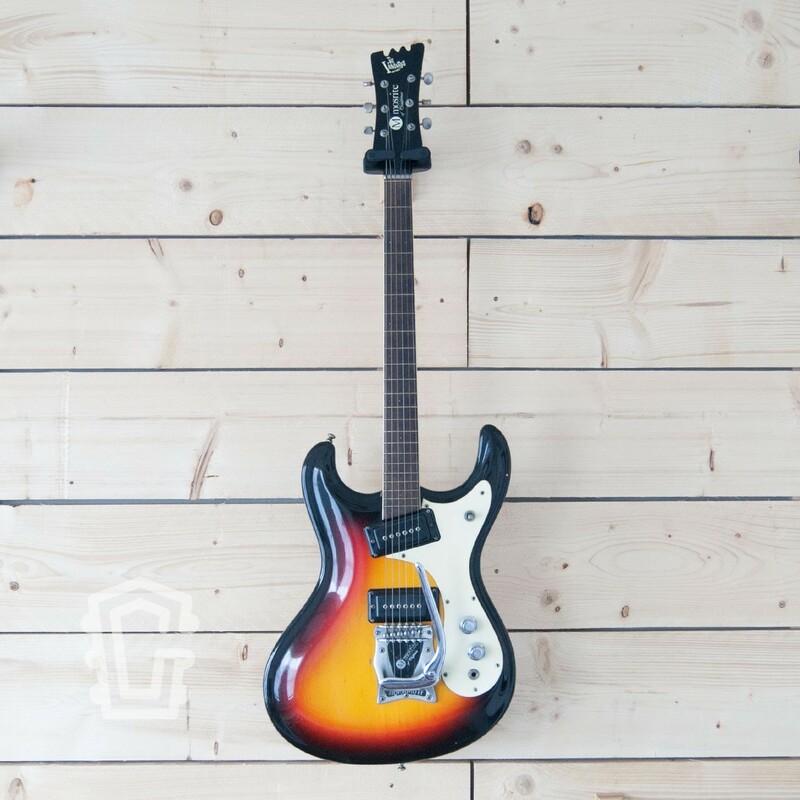 Named after one of the most popular bands from the sixties, The Ventures. 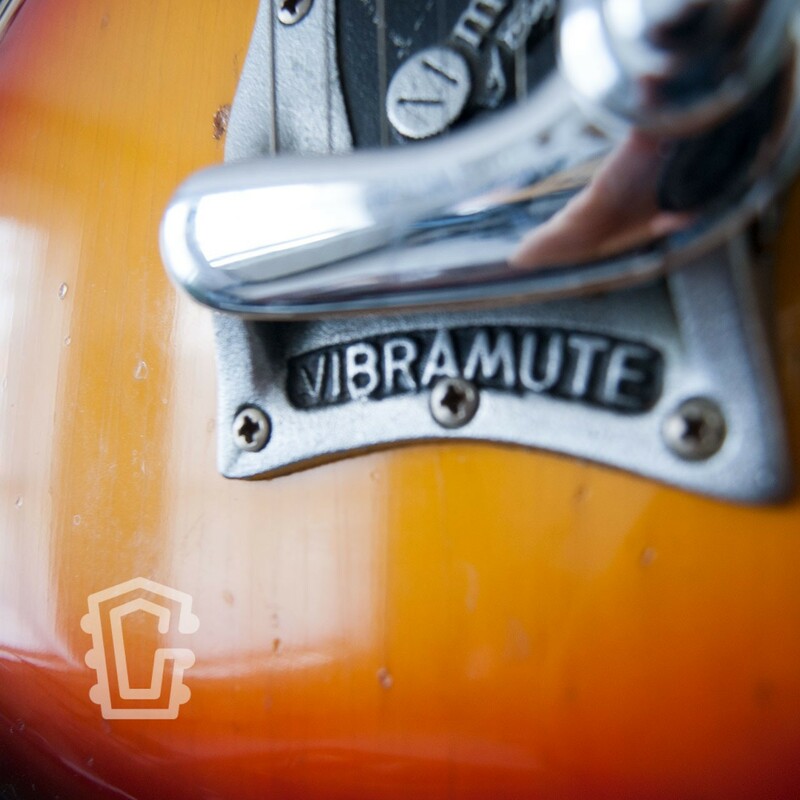 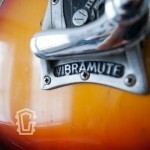 The Vibramute Models are the most sought-after and where built from mid ‘64 to Oct/Nov ‘65. 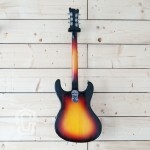 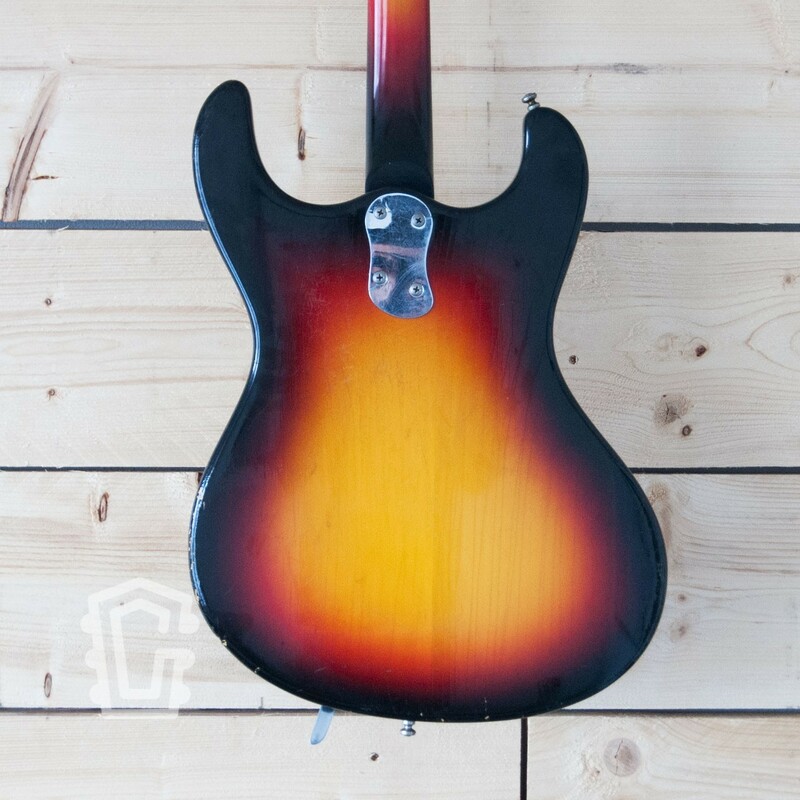 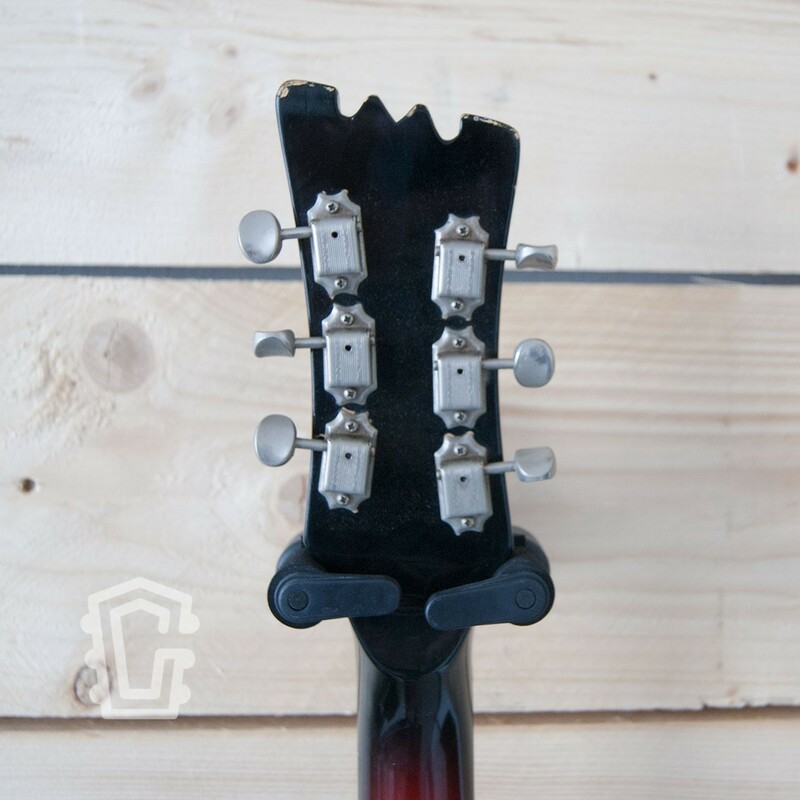 The guitar has a solid Alder body with a contoured top and is finished in a beautiful sunburst. 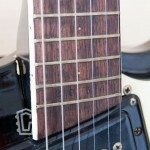 The bolt on Maple neck has a bound rosewood fretboard with 22 frets plus a zero fret. 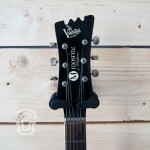 Engraved at the 22nd fret you can find the serial number, 2054. 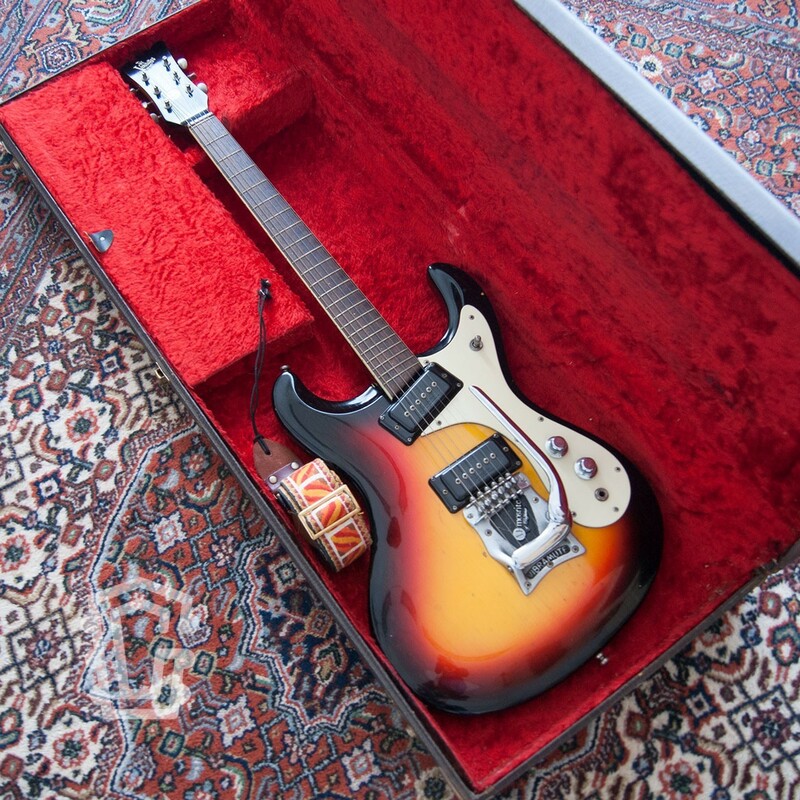 Equipped with the original Mosrite Single Coil pickups this Ventures model is ready to Surf! 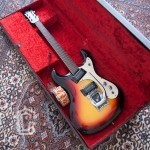 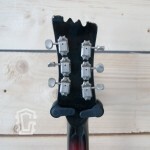 Mosrite of California and an M are embossed on the top of both pickups. 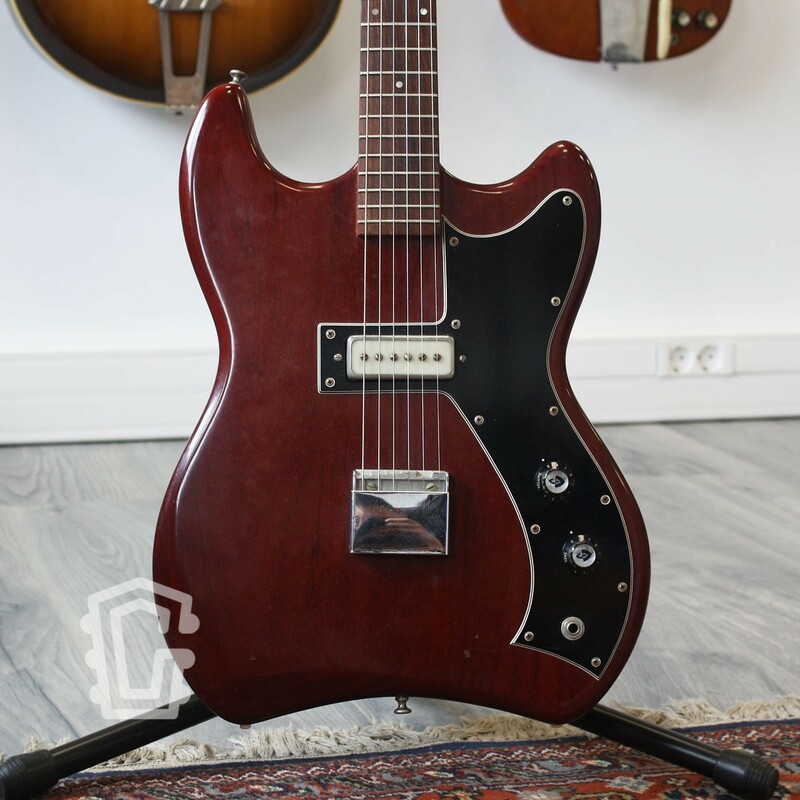 The bridge pickup has been rewind by GUN Customs, The Netherlands. 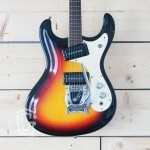 The Mosrite has some play wear but overall the guitar is in good condition for its age. 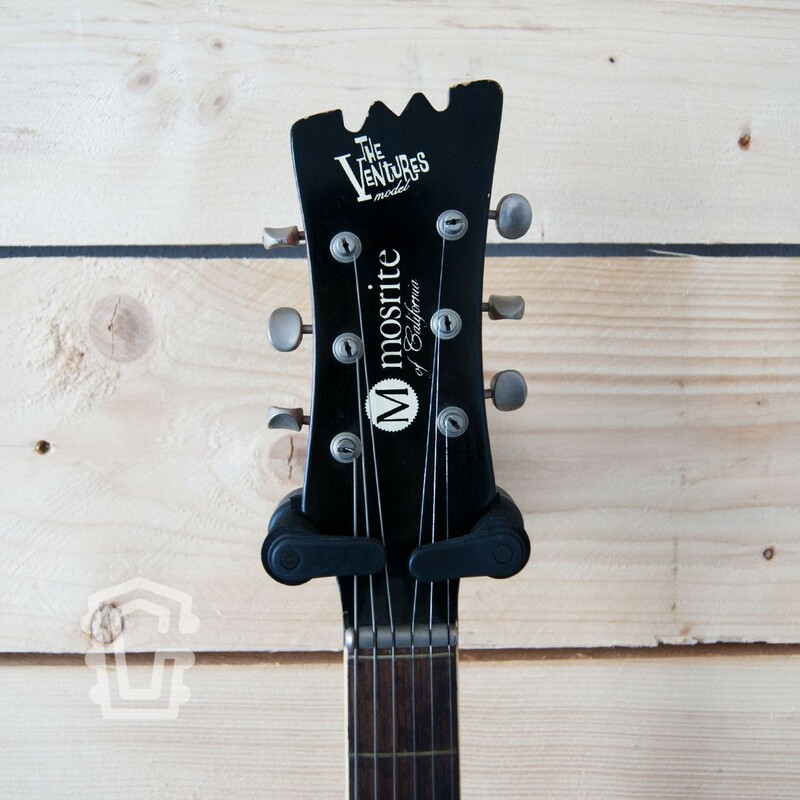 It’s a fantastic playing and sounding instrument! 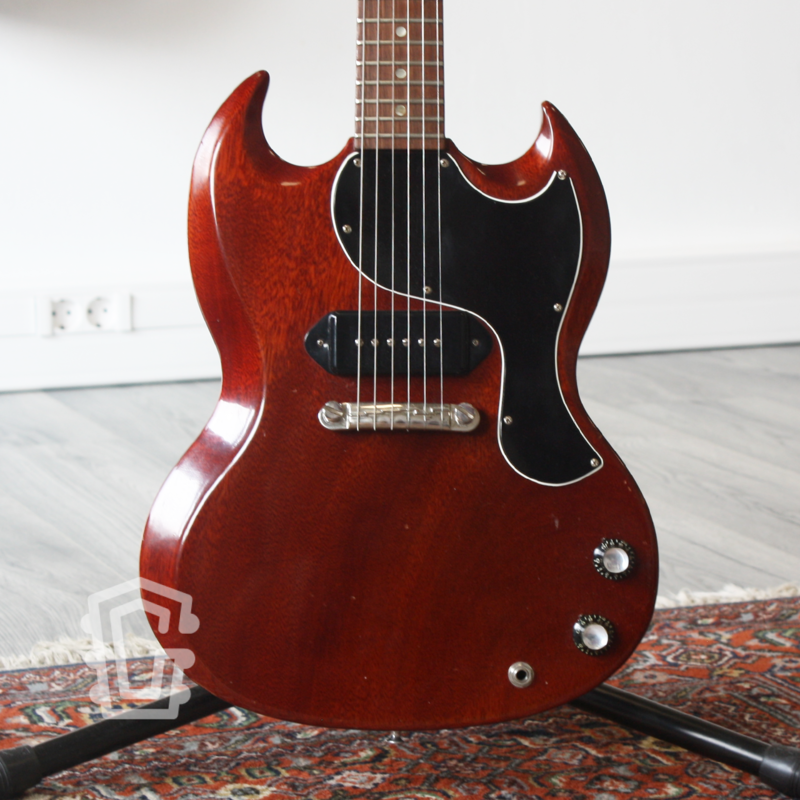 It comes with the original Brown Faux Hard Shell Case (missing the handle) and a vintage strap. 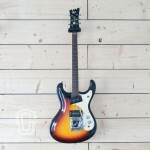 Are you interested in this guitar? 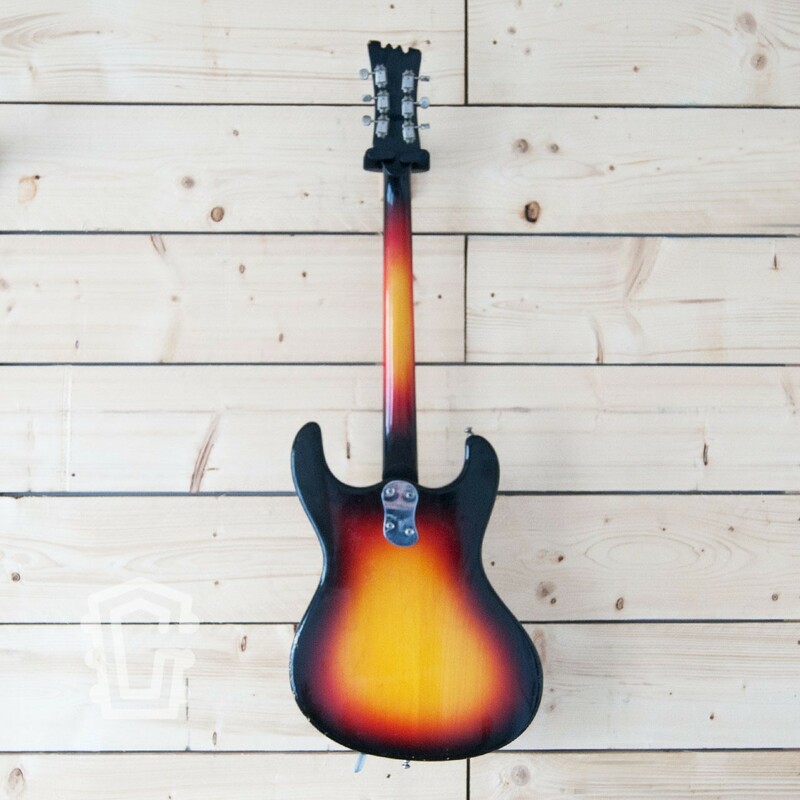 You’re welcome to check the guitar out at our studio in Etten-Leur.